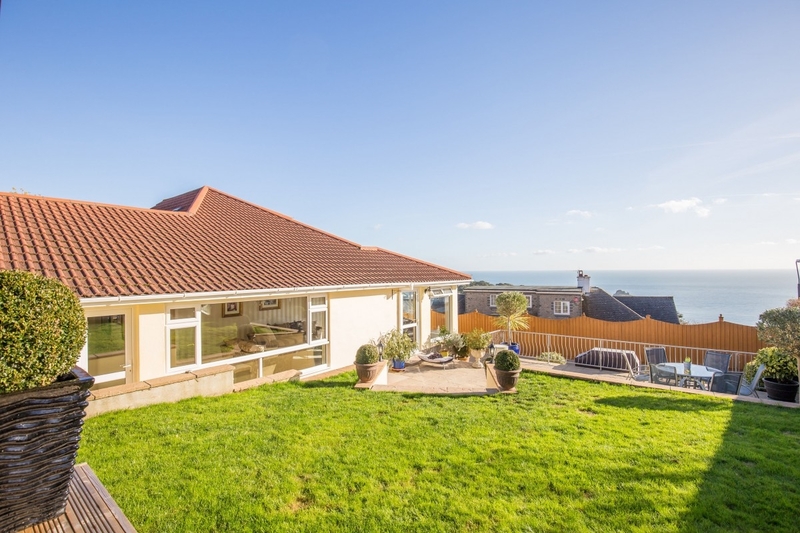 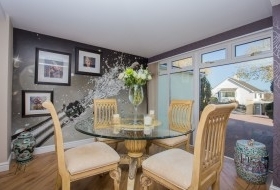 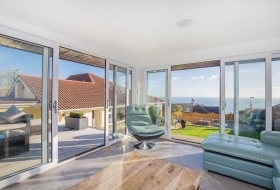 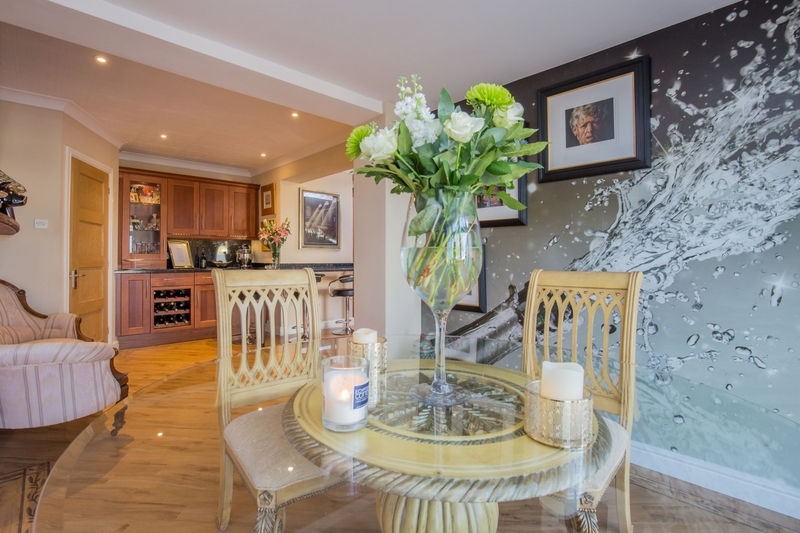 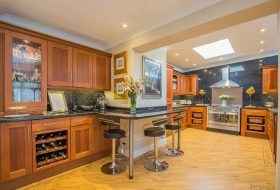 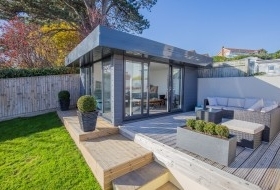 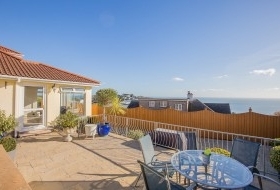 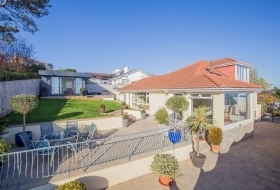 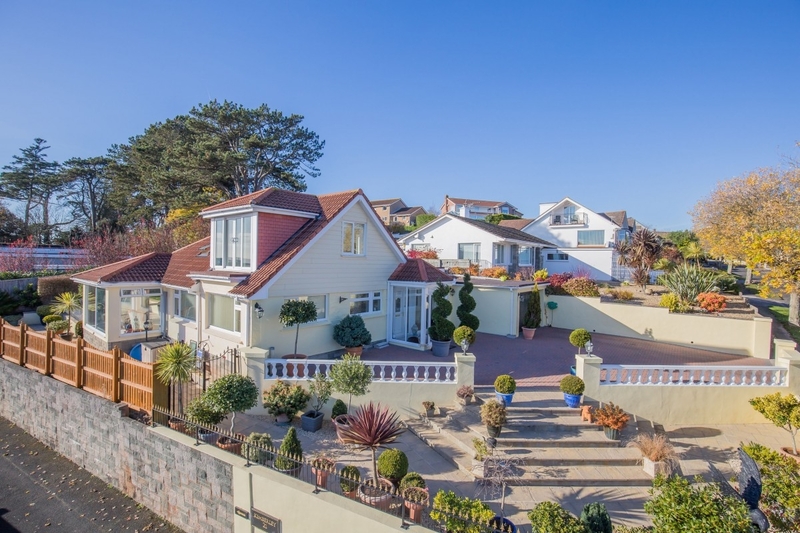 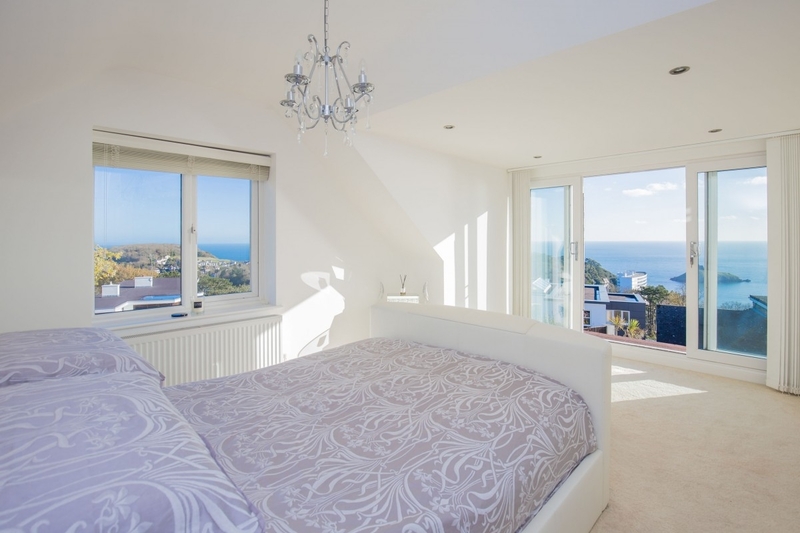 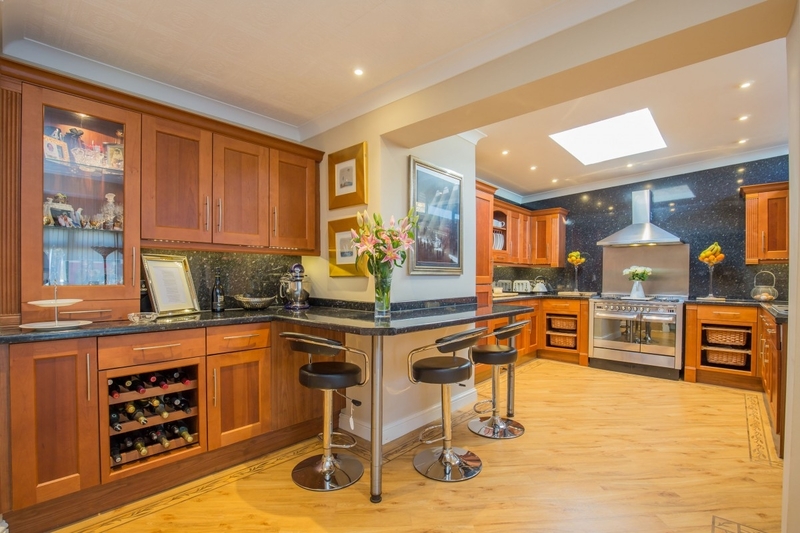 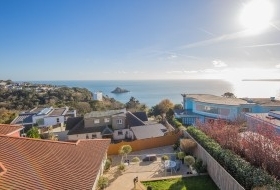 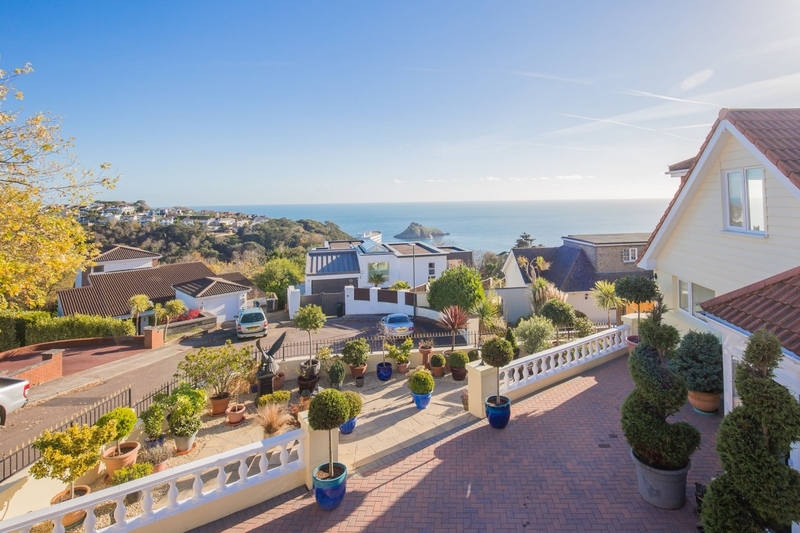 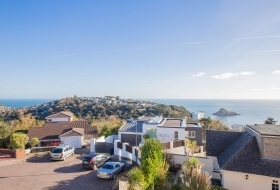 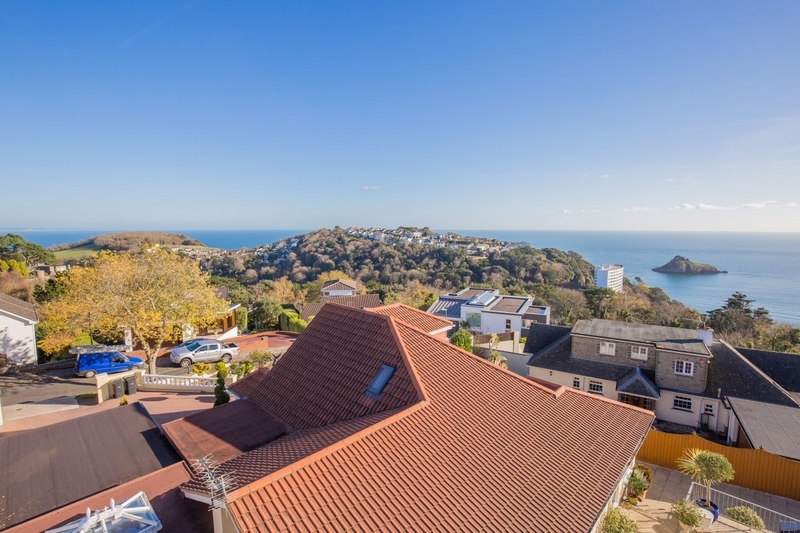 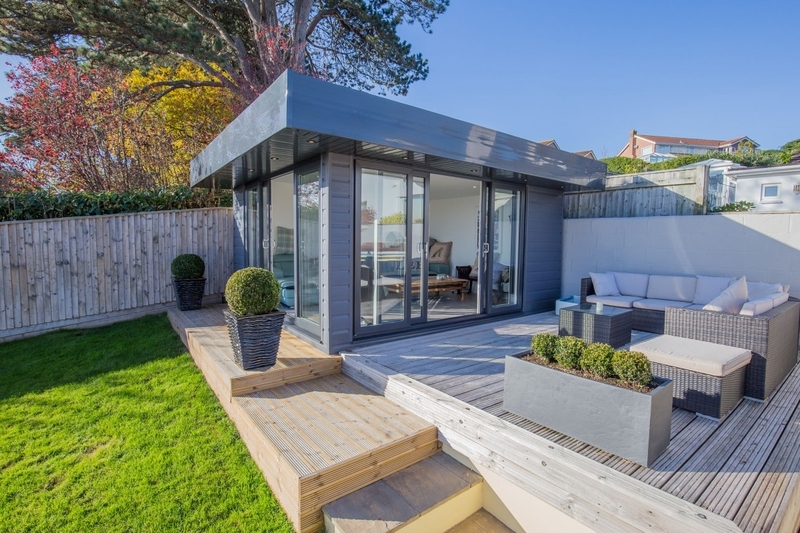 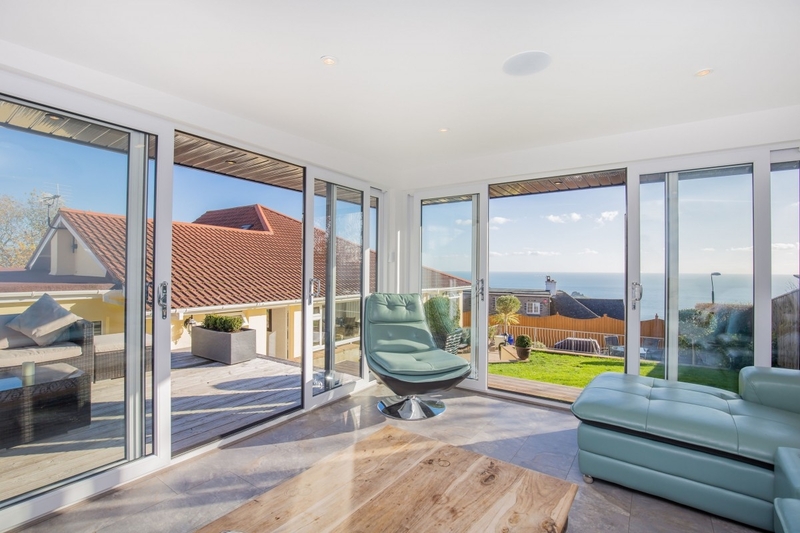 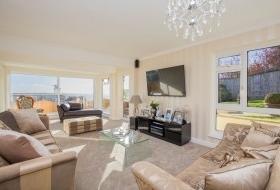 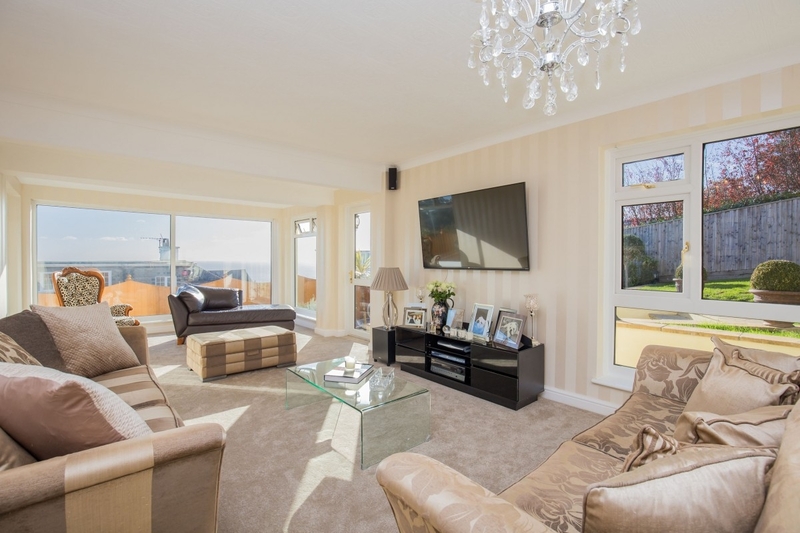 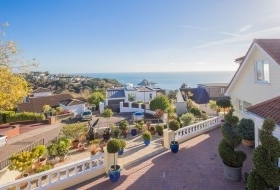 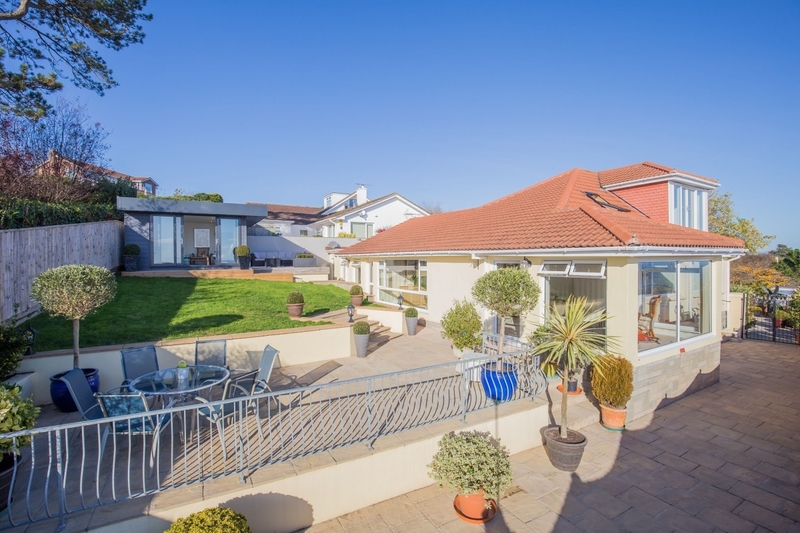 Capturing views of the sea, the property offers a contemporary and individual marine home, presented with a continuity of style, extended to the first floor giving a bedroom suite and with the addition of a summer house/home office providing superb space for entertaining, relaxing or working. 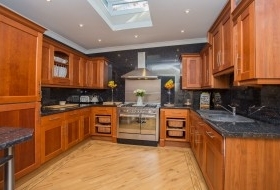 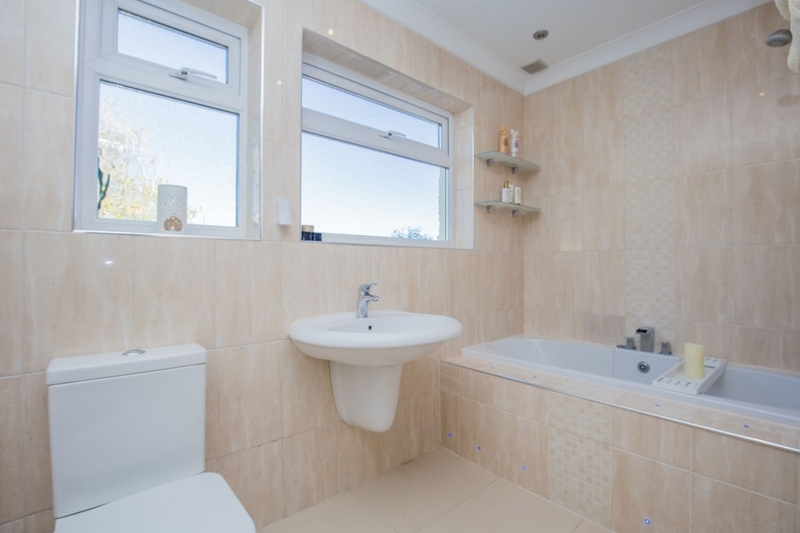 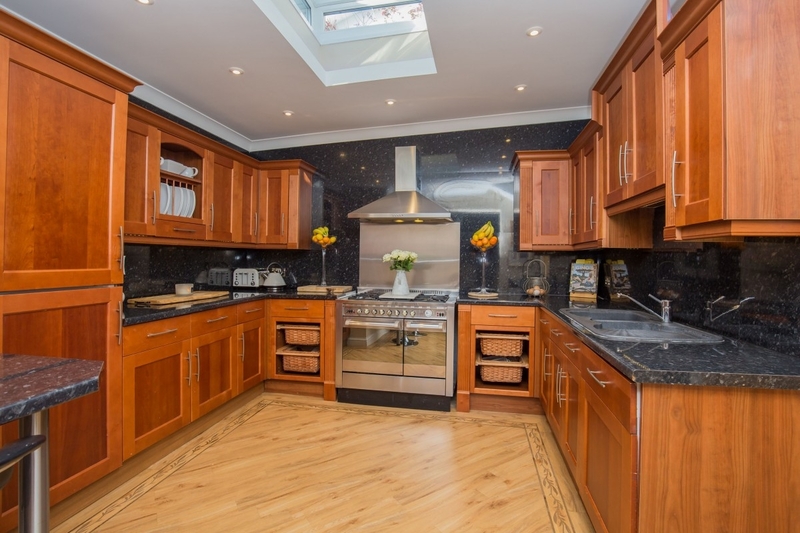 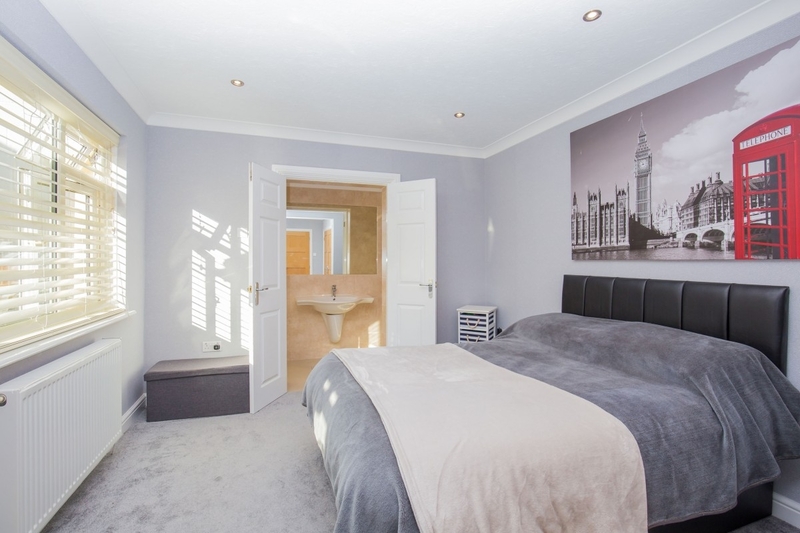 The ground floor accommodation has a dining hall, kitchen/breakfast room, lounge, 3 bedrooms, en-suite shower room and family bathroom. 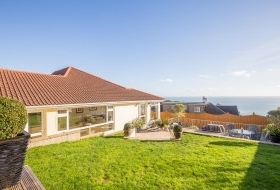 Sheltered rear garden with decked terraces, integral garage.